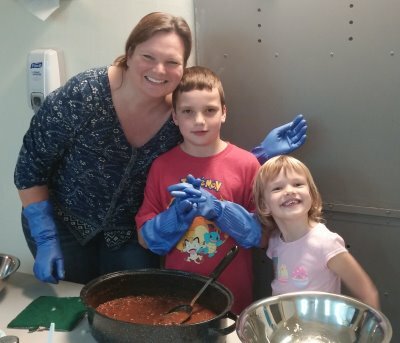 Kids, teens, and/or families can help the residents at Solutions for Change by providing and serving dinner at the intake facility in Vista (near the Vista Library). Because this location only serves about 40-50 residents, it only needs one or two families to serve. This is a great opportunity for kids/teens to directly interact with the people they are serving. Since Solutions for Change is focused on family homelessness, kids/teens serving dinner at Solutions for Change see that homelessness affects kids as well as adults. To serve dinner at Solutions for Change, check their calendar for an open date and then contact KidzCare with your preferred date. The liaison from KidzCare will book the date and provide help with serving dinner when possible. Of course, you are always welcome to sign up on your own if you feel comfortable serving without assistance.